Whole Kids: "NO WEIRD INGREDIENTS"
"No weird ingredients". I love the sound of that (well said, Whole Kids). 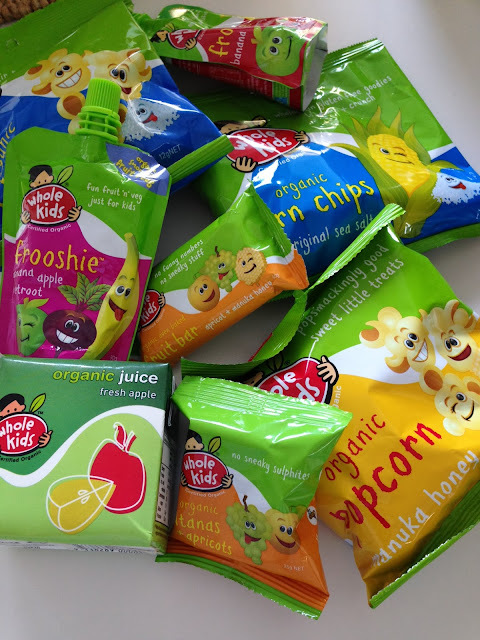 Whole Kids is a range of 22 certified organic, additive-free, allergen-friendly snack foods means us parents can breathe easy knowing that we are giving our children real food that doesn’t contain any nasties. And when they love it all? Well, that's just a bonus. (above) Anoushka dives into an Organic Fruit Bar. The Whole Kids range of organic corn chips (try the cheese ones - YUM), popcorn, sultanas, fruit bars and juice is also GMO free with no artificial colours, flavours, preservatives, allergens, synthetic pesticides and herbicides, and is packaged in BPA-free packaging. 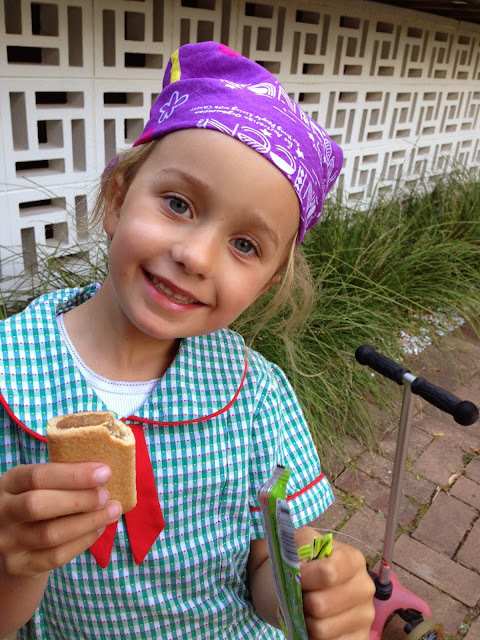 The products have been developed in consultation with more than 300 parents, as well as dieticians at Melbourne’s Royal Children’s Hospital, in order to meet the new guidelines for products distributed through hospitals. And if you've ever eaten anything hospital, you'll be applauding wildly right about now. (above) Popcorn, Sultanas, Corn Chips, "Frooshies"... It's all good. Whole Kids products can be found in Thomas Dux, IGA supermarkets, Caltex, BP, 7-Eleven, school canteens and hospitals, or by calling 1300 099 744. We buy ours at Avalon Wholefoods. PS We throw the juices in the freezer by the handful - the kids are allowed one on the weekend as a treat. They're thrown outside in the sun and subsequently take about an hour to get through them with a spoon!